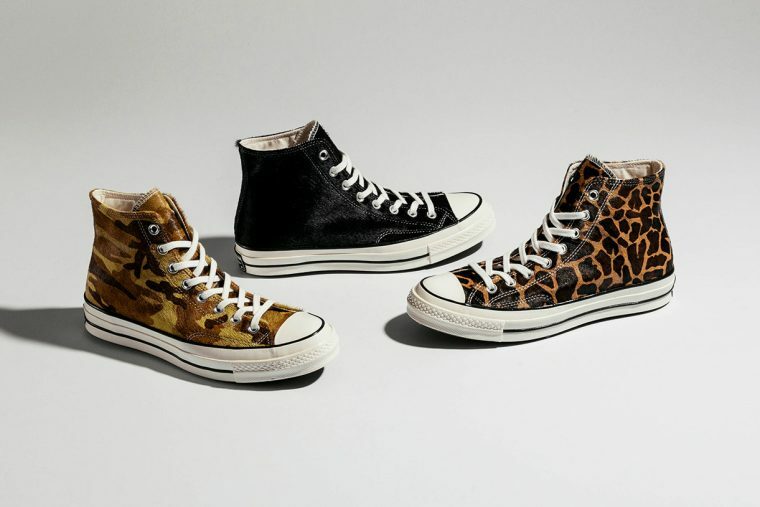 Following the brand’s fuzzy leopard printed makeovers of the All Star Hi and One Star, Converse has now fully embraced the pony hair aesthetic as an integral element in their latest trio of Chuck 70s. Combining equine inspired textures with bold patterns, the collection includes this season’s favourite animal print, alongside black, and camouflage colourways for a wild touch. 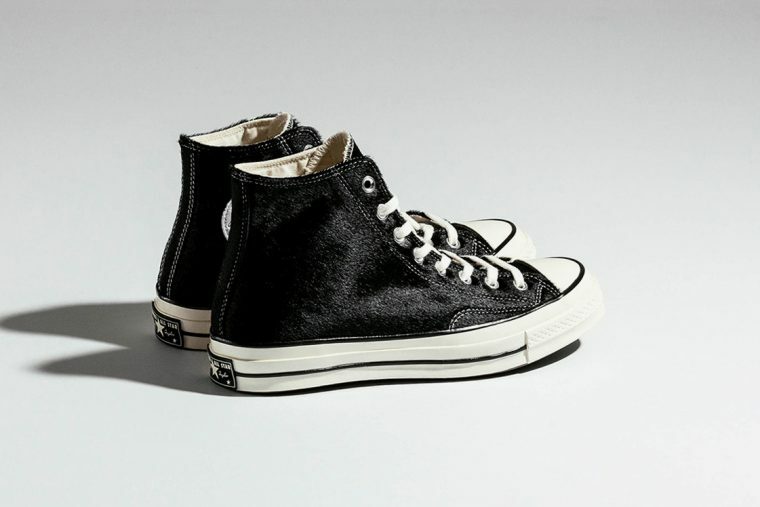 Glossy faux fur replaces canvas in this pack, while the shoe’s signature rubber toe cap and vulcanised midsole stay true to the original. 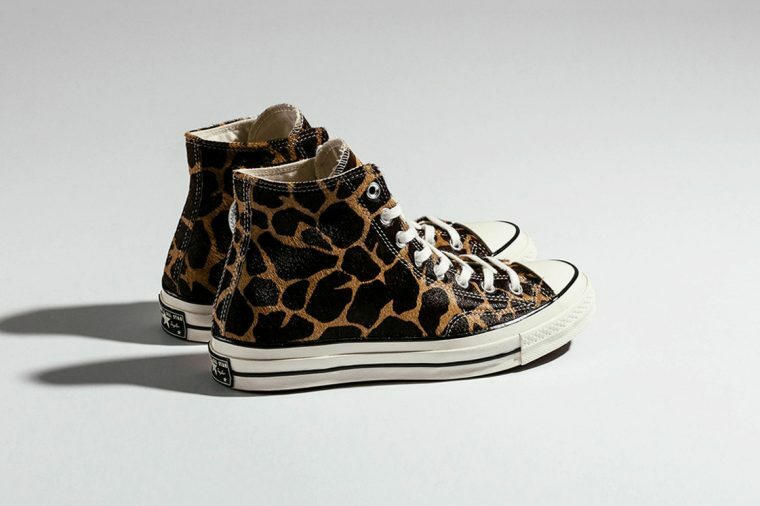 The black pair is the most minimal option of the bunch, decorated in classic monochrome hues, while the camo and leopard designs are for the bold at heart. 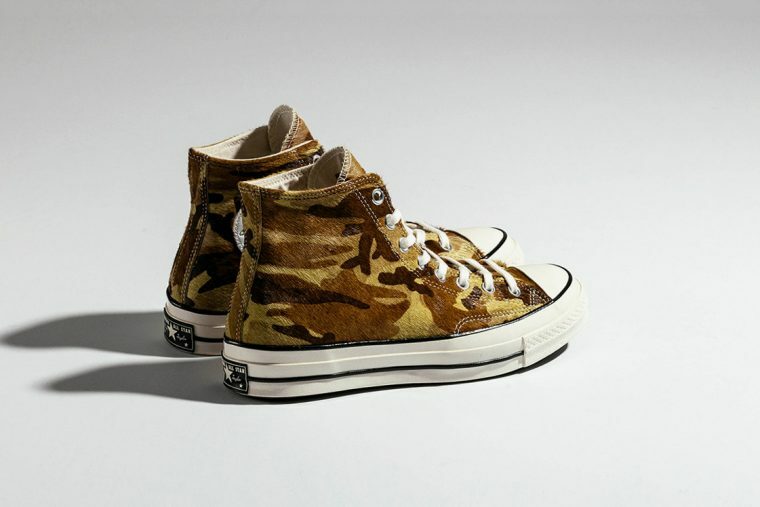 Converse hasn’t announced an official release date for the range yet, but they are expected to arrive soon at a variety of retailers. Stay tuned for more information and check out the brand’s collaboration with Brain Dead while you wait.